Milk has a very special place in our homes. Be it our morning tea, evening coffee or tall glasses for our kids. We cannot think of a day without milk. Milk is an essential part of our daily groceries. This summer, I faced regular problems with the milk packs I had been buying regularly for years. The milk would turn sour as soon as I would heat it. The shop owners blamed it on power cuts and the lack of proper storage facility that they have. Due to power cuts, shop owners would keep lesser quantities of milk and as a result, the shop owners would run out of milk. Then, I shifted to milk packaged in Tetra Pak cartons from the pouch variant of the same brand that I have now been using for ages. I must say, I ‘m much happier with this decision. Now, even if there are power cuts in summers with the shop owners providing the excuse of poor supply of milk, I am assured that I can keep and store milk which will stay fresh and safe, even for a long time. Milk is packed in six layer protective Tetra Pak cartons. The milk is heated on very high temperature for a brief period which also ensures that the taste and the nutrients of the milk remain intact. The milk goes through a quick heating and cooling session, called the Ultra High Temperature process. The UHT process helps in keeping the milk safe for about six months without opening. 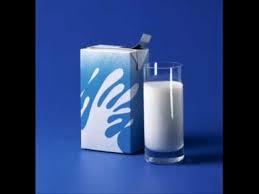 There are several myths around milk in Tetra Pak cartons which prevail commonly. I read about them and found answers to all of them. Milk in Tetra Pak cartons is generally perceived to contain preservatives. The truth is that this milk is heated at high temperature which helps in removing all the harmful microorganisms from the milk. The packaging is done in highly sterile conditions. Therefore, there is no need to add preservatives in milk packaged by Tetra Pak. 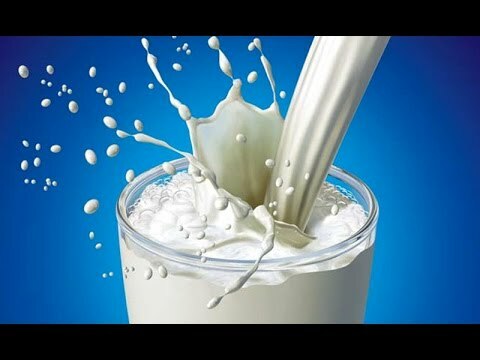 The second, most common myth is that this milk is not nutritious. It is a regular practice in households to boil the milk. Despite the milk being pasteurized before packaging, boiling the milk for longer duration is a regular practice. This results in a loss of nutrients, especially proteins and vitamin B group. Tetra Pak packaging helps keep the milk safe and retain its nutrients. 1. Milk in Tetra Pak cartons has a longer shelf life. The unopened milk carton can be stored for as long as six months without refrigeration. 2. The milk is well packed in six layers of packaging that is tamper-evident and hence eliminates chanced of adulteration. 3. It keeps the milk safe and preserves its nutrients. 4. There is no need to boil the milk as it has already gone through the UHT process. 5. Tetra Pak cartons are made primarily of paperboard and can be recycled and turned into more useful products, making them environment-friendly. 6. Milk in Tetra Pak cartons is safe to consume directly. This milk is creamier and thicker when compared to milk sourced in any other packaging. In today’s fast paced life, I find milk packaged in Tetra Pak cartons to be a healthier and safer choice. I can be sure of providing pure and unadulterated milk to my family every day, keeping the promise of good health for my family.